When the ruler of the feast tasted the water now become wine, and did not know where it came from (but the servants who had drawn the water knew), the ruler of the feast called the bridegroom, and said to him, "Everyone serves the good wine first, and when the guests have drunk freely, then that which is worse. You have kept the good wine until now!" This beginning of his signs Jesus did in Cana of Galilee, and revealed his glory; and his disciples believed in him. John 2:9-11 NHEB. Previous Bible study lesson: Jesus' Miracles #6.05. Welcome to our John 2 Bible study lesson on the water to wine miracle. The miracles of Jesus always have distinct purposes and Jesus' first miracle is no different. Your faith will soar to greater heights because of the knowledge you'll gain from this study on miracles. Prepare yourself to stand in awe of our great God. Get ready to fall in love with the King of kings and Lord of lords. Let's learn about the very first miracle performed by Jesus Christ. Begin by reading the Gospel of John 2:1-12. St John tells us that Jesus went to a wedding in nearby Cana with his disciples (John 2:1). Mary, mother of Jesus was also there, probably assisting the hosts to some degree. Jesus' family was likely related to the wedding parties. This scenario is interesting because John the Baptist, who prepared the way for Christ, had totally removed himself from social life. You wouldn't find him at a wedding in his camel hair cloak and his leather belt. They weren't serving locusts and honey at this party! But Jesus didn't come to hide himself from people; nor did he come to judge and condemn the world (John 3:17). Jesus came to shine the Light, to tell people the Truth, and to show them the Way to his Father (John 14:6). Jesus ate and drank with sinners (Matthew 11:18-19; 26:27-29), rubbed elbows with the lepers and the poor (Matthew 8:1-3), and exposed and chased away religious hypocrites (Matthew 23:11-15). He was far from a pious snob who only hung out with his own kind. Jesus came to awaken sinners (John 4:10); and, he came to save them (John 5:24). Traditionally, wedding festivities in Israel sometimes lasted for days, even up to a week. It was more of a drawn-out celebration then a one night extravaganza like we experience today. In Jewish thought, wine symbolized joy and celebration, and when the wine ran out, guess what? The joy and celebration runs out, as well. Not only that, but the wedding hosts were culturally, and sometimes legally, obligated to supply the wine for the entire week. The wine suddenly ran out at this wedding. It was a major travesty! People got upset and even panicked. Mary, mother of Jesus, frantically ran to him, "They have no wine!" She knew who to run to, didn't she? She knew exactly who could get something done about the problem. Let's take a moment to look at this situation from Mary's perspective. Luke says that Mary treasured all of the things of Jesus in her heart. She pondered them (Luke 2:19). Mary had been reminiscing about the message from the angel. Would you forget Gabriel coming to you with the message that you'll be giving birth to the Son of God? Imagine Mary for a moment lovingly telling Jesus as a young man about the circumstances of his birth. Then later watching John the Baptist prepare the way for her Son. She saw Jesus baptized when the Holy Spirit came upon him. She watched Jesus gather his disciples in the previous days before this wedding. Jesus was entering the gateway of his main mission on earth - his time had finally come - and Mary could sense it. Mary knew her son could do something about the wine issue, but we can't say she necessarily expected him to work a miracle. She did know, in fact, that he was the Son of God; and, that somehow he could find the means to some more wine. She knew he could "save the day." 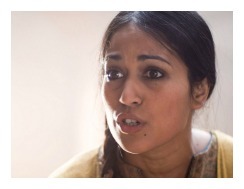 But Jesus retorted, "Woman, what does that have to do with us? My hour has not yet come." Jesus here distanced himself from his earthly family - he called Mary 'woman' which seems a bit colder than it really is, because it was a culturally accepted title. Jesus also included his disciples in his answer, i.e. "us," as his closest friends and his heavenly family. Jesus said that his hour had not yet come. He was apparently talking about his earthly ministry, that the Father is the One who leads him into acts like what are required here (John 10:32). Jesus was perfectly in submission to his Father, and here we see that God did allow for Him to begin revealing his power. After telling Mary that it wasn't yet time, he quickly found out from the Father that it was indeed the time for Jesus' first miracle. You may picture the Lamb of God beginning His journey to the cross here at the wedding feast in Cana. And in roughly three years he would arrive at Calvary to spill his blood. We have two viable sources telling us to listen to Jesus and do what he says. And in John 14:15 Jesus himself says, "If you love me you will keep my commandments." Jesus is your Lord, you say, well then try to do everything he says. Jesus told them to fill up six huge water pots to the brim with water. They wisely did as he said. He told them to draw some out and take it to the headwaiter. They obediently did as he said. Look what happened! The headwaiter went straight to the groom, saying, "Every man serves the good wine first, and when the people have drunk freely, then he serves the poorer wine; but you have kept the good wine until now!" When you listen to Jesus, doing exactly as he says, great things happen, yes, even miracles happen! Jesus' first miracle happened - water turned into wine! So, let's carefully begin unveiling the amazing details of Jesus' first miracle - water to wine. The headwaiter, with his statement, wasn't only saying that the wine Jesus made was better than the other wine, although it was. His statement does reveal that this new wine was made with no trickery. The jars weren't partially full of some wine extract that only needed some water dumped in to make weak wine. These water pots were filled with clear water, and the clear water became the finest wine. Does Jesus' first miracle, turning water to wine, have some deeper meaning involved? Some say that the first wine, which ran out, represents Judaism and animal sacrifices; while the good wine, in its sheer abundance and quality, represents Christ's sacrifice and Christianity. Haven't you wondered why so much new wine was created in Jesus' first miracle? Based on the size of jugs in this era of Jewish life, the account tells us he created around 150 gallons of wine! According to this sign, then, Christianity is in its full abundant state, thusly superseding Judaism, which has run dry in God's plan of redemption. You can also look at it as the Old Covenant water becoming the New Covenant wine. Those are viable and probably true ideas. "Semeion" is the Greek word used here for sign. A sign is one of the four ways God's miracles can happen. There is no single word for miracle in the Bible because the idea is expressed by four terms: wonders (e.g. Joel 2:30), mighty works (e.g. 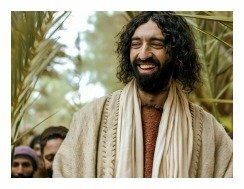 Matthew 11:2), signs (e.g. Isaiah 7:11), and power (e.g. Mark 6:7). In the most basic sense of miracle, it means "wonderment at God's presence and power." You can see this idea expressed in childbirth, incredible coincidences, and acts of divine providence. A miracle is God's work of power. All miracles are God's miracles; and a mighty work creates a huge impression on the people who witness it. This can be seen through the resurrection of the dead and instant healings; but cannot be explained by works of nature or coincidence. And it can very well overlap with what we are about to talk about - a sign, as we have here in John chapter 2. A sign signifies something, in other words, it has a message. And the sign's message normally has to do with God's power in creation, salvation, resurrection, and judgment. A sign miracle was meant to spark a divine light inside the soul, leading to belief in the divine source of the miracle. In the case of Jesus' first miracle, he performed the sign and people were led to believe in him. Remember back to John 1:14 where the disciple said, "And the Word became flesh and dwelt among us, and we beheld his glory, the glory as of the only begotten of the Father, full of grace and truth." John 2:11 says that Jesus "manifested his glory." Jesus' first miracle sign somehow manifested Christ's glory. Let's now discover how God's glory shown through his Son. Jesus' first miracle is hard to understand because it happened in such an out-of-the-way place. Cana was a tiny place far from the larger cities and multitudes of people. There were only a few people who actually saw Jesus perform the water to wine miracle, and it probably wasn't some big show. Jesus' first miracle was done quietly, with no theatrics, magical chants, or secret potions. Jesus wasn't given the God Rod like Moses needed for his miracles. One would also think that God, in these rare moments of shining his glory, would show lots and lots of people. But not so. Jesus' first miracle was a covert sign that had no amazing visual experience, no sounds of thunder, and nothing spectacular catering to the human senses. Jesus' water to wine miracle went totally unnoticed until the headwaiter tasted the wine. But, by that point, the miracle was already complete. The facts of Jesus' first miracle beg the questions, "Is God's glory the physical brightness brought on by his holiness and appearance?" And, "Is God's glory the sheer power emanating from his being?" And, "Is God's glory the splendor of the thought of him?" The answers appear to be 'Yes' to all of the questions. 'Glory' is used as a term to denote the nature and acts of God through his personal manifestations. What is meant by a personal manifestation is "God making himself clearly apparent to someone through sight or thought." Here in Cana, the glory of God's grace showed because he gave a miraculous gift to the family of the bridegroom when they badly needed it. Glory also showed through his creative power when he changed the water into wine. The Greek 'doxa' translates into the English "glory," meaning what God essentially is and does, as exhibited in whatever way he reveals himself. We have to understand this, so that he can be properly glorified - it's an essential element of discipleship - to glorify God. That's why John 1:14 says, "We beheld Christ's glory, the glory as of the only begotten of the Father." The incarnation of Christ was God literally manifesting himself into man. God revealed himself as a man. He glorified himself as a man in the flesh. Romans 3:23 gives another angle on God's glory; which says, "We all have sinned and fall short of the glory of God." Here, doxa is talking about God's character, which is untainted by sin, totally unlike ours. His glory, in the Romans' case, is his perfect righteousness in which we can watch, learn about him, and deeply admire. God's glory can also show through his creative powers, his heavenly presence, and many other ways. In summation, God's glory is how he reveals Himself to us. We have no effect on his glory, either. C.S. Lewis said, "A man can no more diminish God's glory by refusing to worship him than a lunatic can put out the sun by scribbling the word darkness on the walls of his cell." Not even our utter sinfulness can snuff out God's glory when he chooses to reveal himself. Unfortunately, not all people view God based upon his revelation, because their very sin can blind them to God's reality. Not all people can perceive God's glory. The disciples "believed in Jesus" at the wedding, but the account doesn't say anyone else did, Of course, they may have been too inebriated to believe. Near the end of John's gospel he reveals the intent of Jesus' miracles, "Therefore many other signs Jesus also performed in the presence of the disciples, which are not written in this book; but these have been written so that you may believe that Jesus is the Christ, the Son of God; and that by believing you may have life in his name" (John 20:30-31). This thematic passage of John shows that the entire gospel was wrapped around this sign and six other signs throughout the gospel. Jesus' first miracle, and the six others in John, were written that you may truly believe in Jesus Christ. Your belief is the reason for this particular sign miracle in Cana. Jesus' turning water to wine was done for YOU, yes, YOU. It's a miracle for you to observe in wonder, and to place your trust in Jesus Christ as the Lord of your life. Jesus' first miracle should bring you to your knees to beg Christ to be your Savior. You may object by saying that you didn't get to see it like the people who were there. Well, God looks to ears as much as he looks to eyes. Let me explain. In God's book, hearing or reading about a miracle in the Bible is as good as seeing the miracle in person. You will be held every bit as accountable as those who saw the miracles happen. The only difference is that when you 'hear' or 'read' about a biblical miracle, you have to picture it in your mind, making it real to you. You have to meditate on it, and then accept or deny its reality. A self-proclaimed Christian who denies Jesus' first miracle, or any other biblical miracle, isn't really a Christian at all, but an imposter. Many self-professed "Christians" don't believe in these signs and wonders that Jesus performed. They explain it away in some fashion, usually denying that it happened altogether. But sometimes they say things like in the case of the water to wine miracle, "Well, Jesus only sped up the natural process of fermentation." That's thoughtless and faithless. Jesus' first miracle, the water to wine miracle, totally bypassed the processes of viticulture, aka and vinification, aka wine-making. Christ skipped the rain falling down to the ground that waters the roots of the grapevine; he skipped the grapes ripening on the vine and the harvesting of the grapes; and he skipped the pressing of the grapes in the winepress. Jesus bypassed the fermentation and filtering processes. He even skipped the bottling and delivery of the new wine! Jesus, for a slight moment in time, was the vinedresser, the winemaker, and the wine merchant. Jesus truly earned the title the Great Vintner after this incredible wine-making miracle! Jesus Christ took clear water and turned it into the best wine ever made by his silent command. The water inside the jars, the elements of nature that create real wine, and all the people in attendance heard and obeyed Jesus' commands, and water turned into the finest of wines! Jesus' first miracle wasn't a natural process 'sped up,' but it was a supernatural process empowered by the Creator of the universe. Let's revisit the miracle-deniers for a moment. They aren't true Christians, because if they don't believe God's word, they don't believe God, making him out to be a liar. We have news for them - God is not a liar - and those who say he is cannot make it into heaven. The problem with unbelievers is that they don't know the Scriptures and they don't know the power of God (Matthew 22:29). Turn from your foolish unbelief, Mr or Ms Unbeliever. Voltaire, a self-professed God-hating philosopher, said this about his belief in miracles, "If I and 1000 other men in Paris saw a miracle before our very eyes I would rather disbelieve my eyes and the eyes of the 1000 than to believe in the miracle." Just like with the 1st century disbelieving Jews, Jesus' miracles can be a major stumbling block to many people. True belief, the Greek 'pisteuo,' means to place your trust into Jesus Christ alone for eternal life. The disciples began believing in Christ at this point, but only partly. They believed him to be the Messiah. But after witnessing the water to wine miracle, their faith was strengthened as they began to see that he isn't just the anointed One, but also the Creator. After all, Christ created wine from water. Remember, he didn't add gallons of fermented grapes to a certain amount of water. Jesus started with, let's say, 150 gallons of water and he ended up with 150 gallons of wine! There was no mixing or no adding to a concentrate. The water switched to wine with no help from grapes or anything else other than the power of God thought and spoken through his Son, Jesus Christ. Faith is a common theme throughout the book of John. Keep in mind, though, that the Lord seeks to increase your faith no matter what your current level of faith is. He wants to make you first of all a Christian, and if you're already a Christian, to make you a stronger one. Faith is like love, there is no end to the amount you can possess and share. Glory to God. Fruit of the Spirit Response to Jesus' first miracle. This is such a wonderful sign for us. Jesus' water to wine miracle wasn't some trivial little miracle to satisfy the thirst of partygoers 2000 years ago. Oh no, not even close. Jesus' first miracle was a clear sign to show people that Christianity has come through the power, and the body and blood, of Jesus Christ. The Messiah, the Son of God, has arrived, bearing the full glory of God, and exercising the power and the will of his Father! There is one more thing this miracle signified: The transforming power of Jesus Christ. Just as he changed the water into wine he can take a sinner who loves his sin, and transform him into a righteous saint who despises evil. Jesus can change a person's heart by changing a person's mind. He can take a narcissistic teenager and break him from his love of the world. That's water to fine wine. He can take a drunken fool and turn him into a clear-minded wise man. That's water to fine wine. He can take a murderer and make him appreciate and honor the sanctity of life. That's water to fine wine. He can take a thief and turn him into a hard worker and kind-hearted giver. That's water to fine wine. He can take an adulteress and transform her into a Proverbs 31 wife full of inner beauty. That's water to fine wine. He can take a cantankerous old man and turn him into a spiritual teddy bear. That's water to fine wine. He can take a bitter, hateful woman, melt her heart, and lead her to forgiveness and peace. That's water to fine wine. He can take a new pastor and humble him, preparing him to be used in a great way. That's water to fine wine. He can take a stagnant church and make it alive again through the true, biblical preaching of his word. That's water to fine wine, my friend. You have to allow God to crush you like a grape. Whole grapes can't be drunk! Grapes have to be squeezed and pressed through a wine press. Then they have to be fermented by time, filtered, and finally poured into new wineskins. God is waiting for you to desire that very thing. He wants to miraculously turn you into fine wine. Jesus Christ is waiting for you to be pressed by his powerful hand of conviction. He wants you to feel the weight of your sin. He wants you to be deeply sorrowful for your sin. He wants you to turn away from your sin through repentance. Jesus wants to turn your cold, stiff pride into soft, warm humility. He wants you to trust in him alone for your eternal life. Give it up for him - you can do it. God wishes that all men become saved, including you (1 Timothy 2:3-5). Will you submit to God's wishes? Maybe today is your special day of personal salvation (2 Corinthians 6:2). Meet him now: Sinners Prayer. Join our next Bible study lesson: Jesus Feeds 5,000. 1) Why did Christ first respond to Mary's request negatively? Discuss (see John 3:19-20). 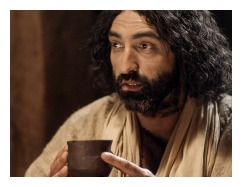 2) John the Baptist didn't drink alcohol, but Jesus and the disciples did drink alcohol. What does that mean for our own personal belief about alcohol? (consider Ephesians 5:18; 1 Corinthians 11:25-26; 10:23-33). 3) Why can't a person be a Christian if he doesn't believe in the miracles of God? (consider John 5:45-47; 2 Timothy 3:16; John 12:48). He also told a parable to them. "No one having torn a piece from a new garment puts it on an old garment, or else he will tear the new, and also the piece from the new will not match the old. And no one puts new wine into old wineskins, or else the new wine will burst the skins, and it will be spilled, and the skins will be destroyed. But new wine must be put into fresh wineskins. No man having drunk old wine desires new, for he says, 'The old is good.'" Luke 5:36-39 NHEB. So then, brothers, we are debtors, not to the flesh, to live after the flesh. For if you live after the flesh, you must die; but if by the Spirit you put to death the deeds of the body, you will live. For as many as are led by the Spirit of God, these are children of God. Romans 8:12-14 NHEB. I ask you neither for health nor for sickness, for life nor for death; but that you may dispose of my health and my sickness, my life and my death, for your glory. . . You alone know what is expedient for me; you are the sovereign master, do with me according to your will. Give to me, or take away from me, only conform my will to yours. I know but one thing, Lord, that it is good to follow you, and bad to offend you. Apart from that, I know not what is good or bad in anything. I know not which is most profitable to me, health or sickness, wealth or poverty, nor anything else in the world. That discernment is beyond the power of men and angels, and is hidden among the secrets of your providence, which I adore, but do not seek to fathom. In Christ's name, Amen. Share on Facebook below and click for your Free Printable Bible Study Lesson: Jesus' First Miracle #6.06. Click for your free printable list of Jesus Miracles. 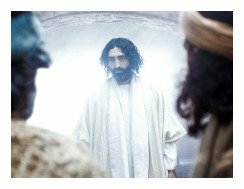 Special Note: I'm grateful to Big Book Media & Free Bible Images, stock.xchng, Morgue Files, and Stock Photos For Free for the use of their photos for the Jesus' First Miracle Bible Study Lesson.